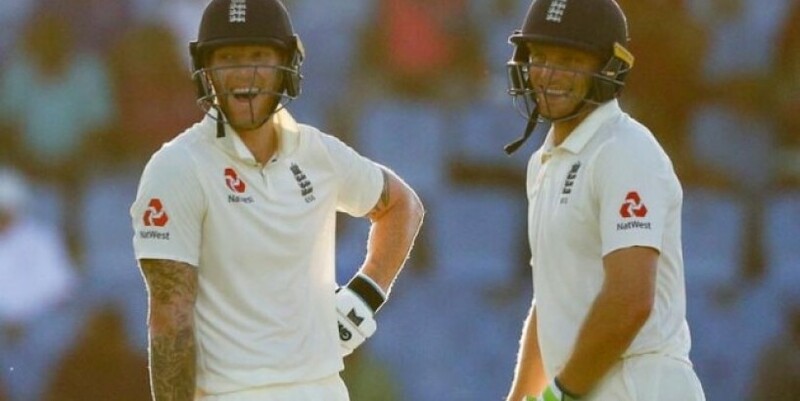 Ben Stokes and Jos Buttler have been involved in an unbroken 124-run stand for the 5th wicket (AP Photo) HIGHLIGHTS Ben Stokes and Jos Buttler compiled an unbeaten fifth-wicket stand of 124 to guide England to 231/4 on Day 1 vs West Indies in the third Test Buttler was unbeaten on 67 and Stokes on 62 as England took the upper hand for the first time in the series West Indies won the first two Tests of the three-match contest to capture the series Ben Stokes and Jos Buttler compiled an unbeaten fifth-wicket stand of 124 to guide England to 231 for four at the close on Day 1 of the third Test against West Indies in St Lucia. Buttler was dropped in the slips before he had scored, and he and Stokes rode their luck at times early but looked more poised as the day progressed, and they dug their team out of a big early hole. Buttler was unbeaten on 67 and Stokes on 62 as England took the upper hand for the first time in the series, which they have already lost after defeats in the first two Tests. But it was not all smooth sailing for the visitors, whose top-order problems were starkly evident again. England captain Joe Root (15) was out cheaply for the fifth time in as many innings this series, caught-behind off a poor Joseph ball that was not far from being a wide.